Dangers of cheap grass mats. Choose quality grass mats. If you’re considering using grass mats on your site, it’s important to make sure that you’re using quality grass mats from a reputable supplier. Cheap grass matting solutions may appeal to those on a tight budget, but the long-term costs of maintaining a poor quality installation can be surprisingly high. One way in which manufacturers cut down on their costs, is by reducing the weight of the mats themselves. However, this makes the mats weaker and more likely to tear, causing dangerous trip hazards. How do I choose quality grass mats? Ensure that the mats you choose are made of high-quality, non-toxic materials, and aren’t bulked out with padding or (potentially sharp) metal fibres. 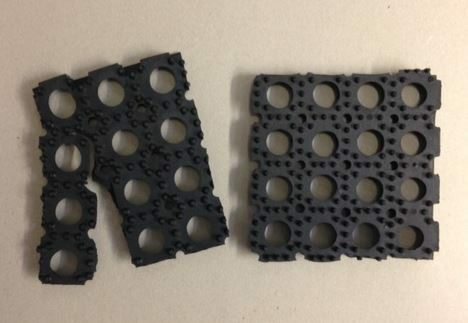 Look for mats that have a reinforced outer edge, as this provides a longer lasting, better looking surface, and reduces the chance of cable ties ripping through them. Make sure your choice is tested in line with British Standards EN 1177 and EN 7188. These assess the mats’ critical fall height, as well as their slip and fall resistance. And do check how the mats have been tested in relation to these standards. Ask your supplier if they’ve been tested realistically. It’s important that you can see a test certificate for the worst case scenario (concrete) and take this into account, as ground conditions can change with temperature and weather. 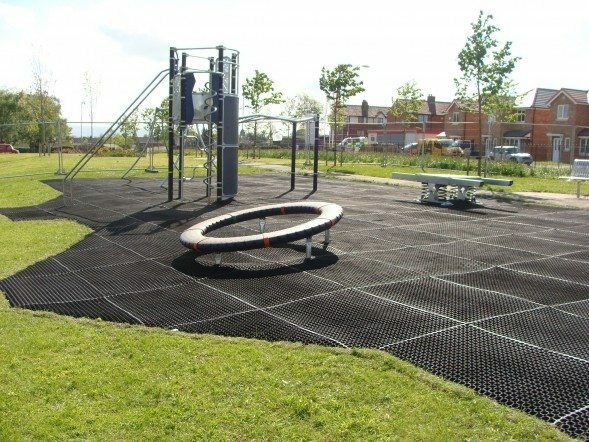 If you’re thinking of a grass mat surfacing solution, consider using PlaySmart’s EcoSmart grass mats. EcoSmart mats weigh 13.5kg rather than the industry average of 11kg, making them stronger and more durable. They’re made of a unique, safe blend of recycled, reclaimed and natural rubber. And they meet those all-important British Standards. Feel free to contact us for any help with your surfacing project – we offer both supply-only and installation services. Alternatively, why not take a look at our free guide to rubber grass mats? You can download the guide here.